Lliswerry High School has recently been awarded the status of Lead Creative School. 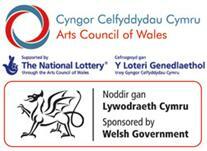 This is an exciting initiative run by the Arts Council of Wales, on the directive of the Welsh Government, as a means of raising the profile of the creative arts in schools across Wales. The project will involve us working with creative practitioners to raise standards in the school through a more creative teaching approach, as recommended in the Donaldson Report. We have been successful in applying for a £16,000 grant from the Arts Council of Wales to enable specialist work with designated Key Stage 3 classes to raise standards of literacy through creative means. It looks to be an exciting year ahead.